Cool Jazz Collective features the smooth, mellow vocals of Elaine Hatton and Neil Riche’s delicate touch on the keys. 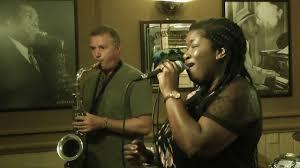 Accompanied by Chris Green, Double Bass; Steve Hamper, Drums; and Richard Exall, Saxophone. Cool Jazz Collective also starred in the erstwhile Lansdowne Club, Luton.